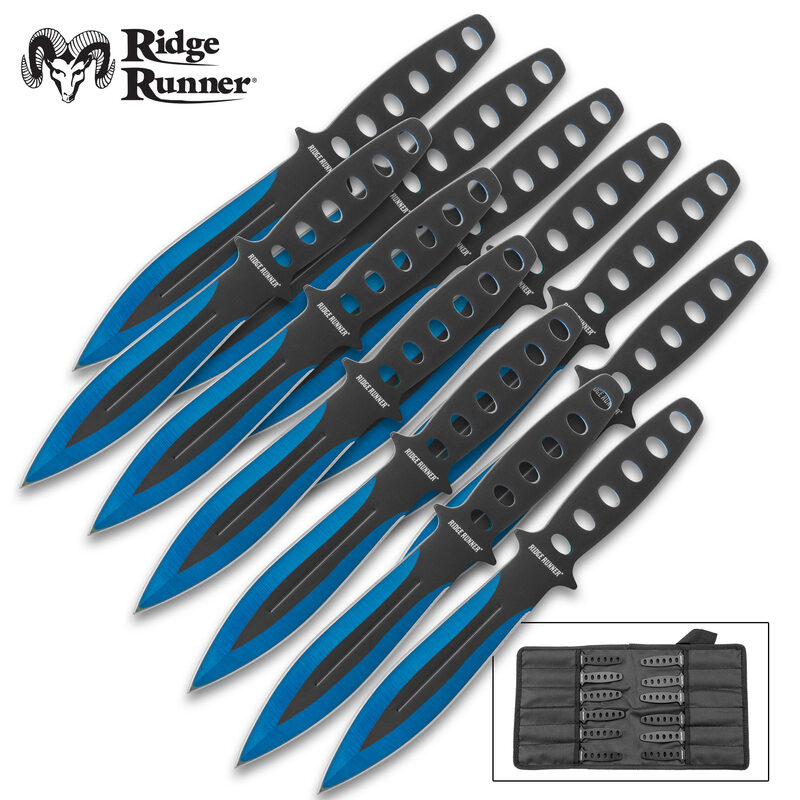 As cold and unforgiving as Arctic ice, our Ridge Runner Arctic Blue Throwing Knife Set has 12 perfectly balanced throwers, each with a sharp penetrating point. 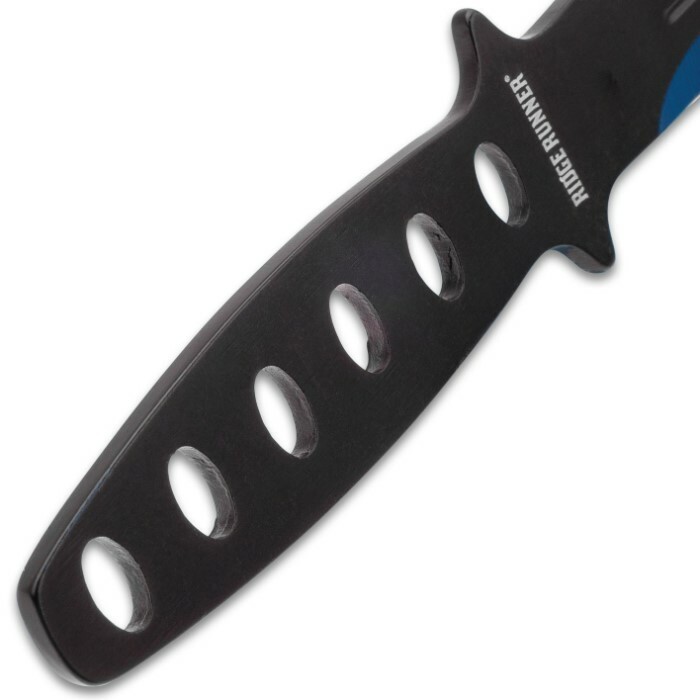 Each knife has a 5 3/4” solid, one-piece stainless steel construction with a metallic blue and black finish and weight-reducing thru-holes. 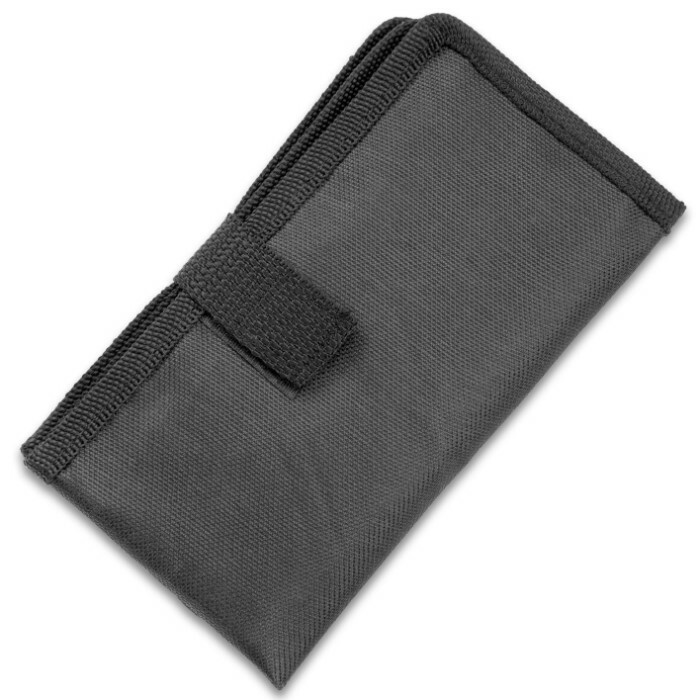 For carry and storage, the sturdy nylon roll-up pouch holds all 12 throwing knives and it has a Velcro strap closure. 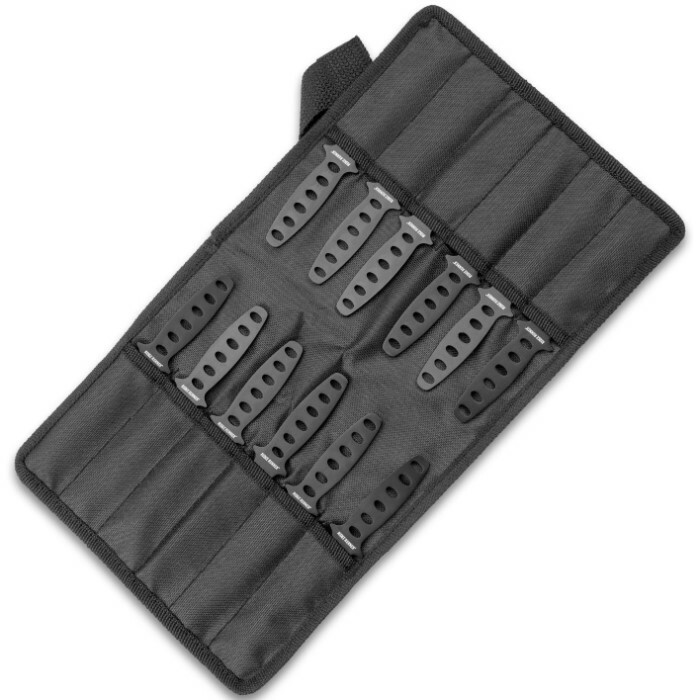 Don’t let this awesome set pass you by.